The monochrome look is as timeless as it is practical! This classic trend blends seamlessly into any interior style, and paired with eye-catching design it’s a sure way to add style into your home with ease. 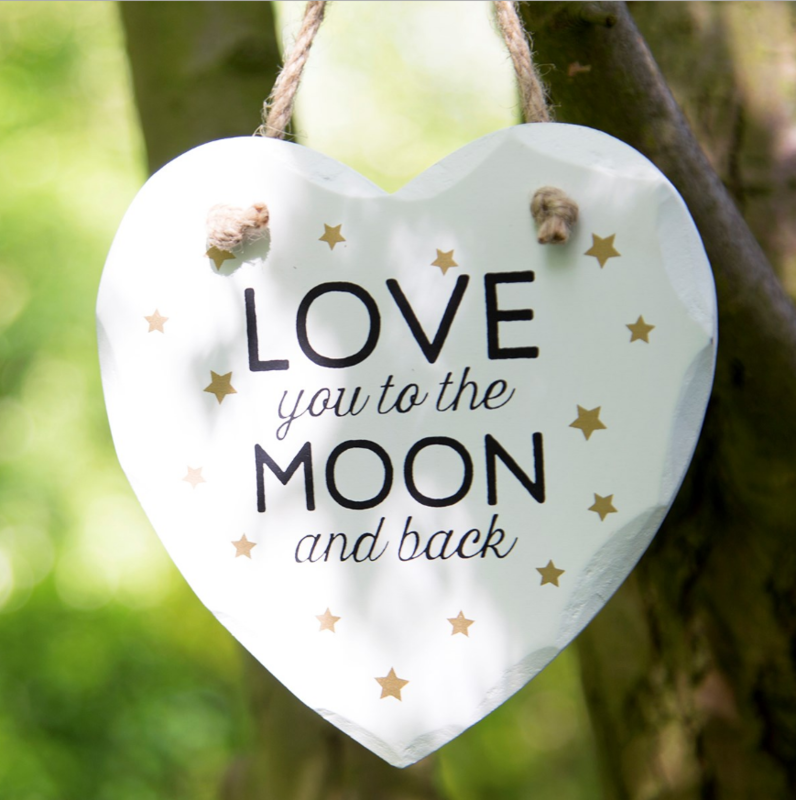 This heart sign includes golden stars with the wonderful quote 'Love you to the moon and back'. 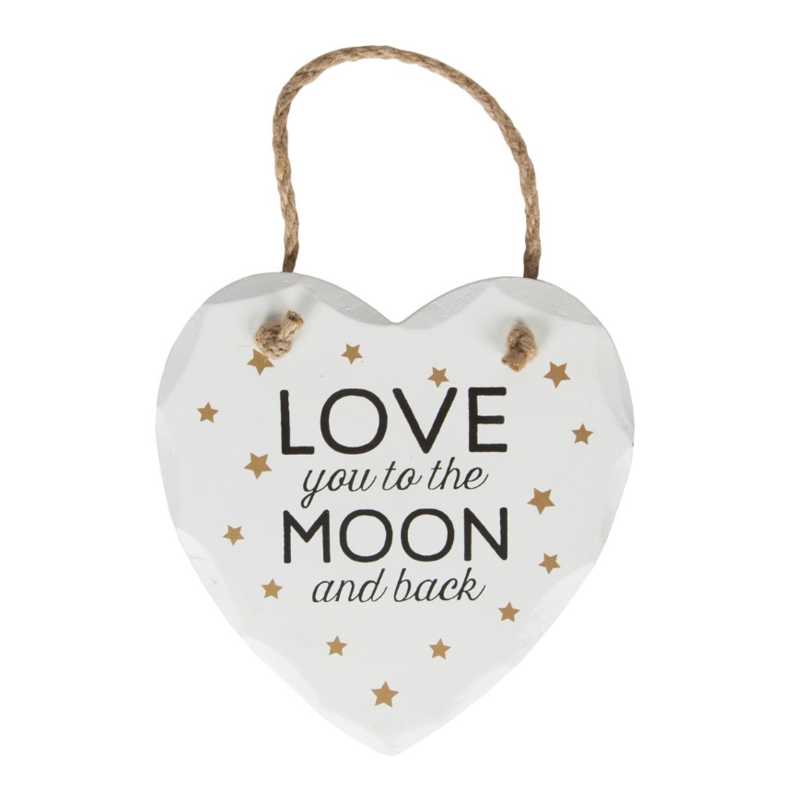 A lovely addition to any home. Stock due 24 07.06.2019 - sign up for alerts!